Many moons ago and in a previous job role I wrote a post for creating an Azure Data Factory v1 Custom Activity here. According to Google Analytics this proved to be one of my most popular blog posts on that site. I therefore feel I need to do an update post with the same information for Azure Data Factory (ADF) v2, especially given how this extensibility feature has changed and is implemented in a slightly different way to v1. What is an ADF Custom Activity? So very quickly, in case you don’t know, an Azure Data Factory Custom Activity is simply a bespoke command or application created by you, in your preferred language and wrapped up in an Azure platform compute service that ADF can call as part of an orchestration pipeline. If you want to draw a comparison to SSIS, you can think of an ADF Custom Activity as a Script Task within an SSIS Control Flow. I hope this is a fairly common approach. If not, things can be switched around as you prefer and I’ll highlight alternatives as we go through. Why do we need an ADF Custom Activity? Typically in our data platform, data analytics or data science solution an element of data cleaning and preparation is required. Sadly, raw source data isn’t perfect. My go-to example here is a CSV file, text qualified, but it contains an attribute of free text that some lovely frontend user has added carriage returns to when typing in notes or whatever. These line feeds, as we know, break our CSV structure meaning schema-on-read transformation tools struggle to read the file. So, given the last paragraph. Why do we need an ADF Custom Activity? To prepare our data using transformation tools that don’t require a redefined data structure. Of course, we can use a Custom Activity for 9000 other reasons as well. We can write some C# to do anything! Or, to answer the question another way. We need an ADF Custom Activity to perform an operation within our orchestration pipeline that isn’t yet supported nativity by our ADF Activities. Azure Function – quick execution, no scale out abilities. Custom Activity – long running (if needed), ability to scale out automatically and scale up compute nodes if needed. How does an ADFv2 Custom Activity Work? Let’s start with the high level image I use in my community talks and add some narrative for all the arrows and services! Please do click and enlarge this image. Maybe even save it to view on a second monitor while we go through it. We start with a Visual Studio solution containing a C# console application project. Or VB, or whatever. Just something that compiles to an executable. Within the project we write our custom code and classes for whatever we need. 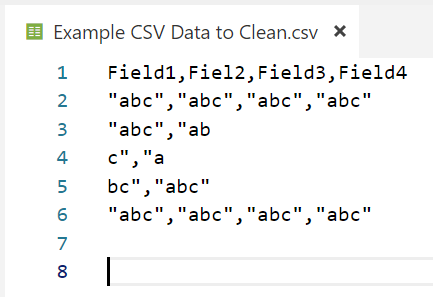 For the file cleaning example above let’s say we have an Azure Data Lake file handler class, some file cleaner class with methods for different cleaning operations and an authentication wrapper class for Azure Key Vault, I’ll talk more about key vault later. Finally, we have a Program class where everything comes together. Deploy an Azure Blob Storage account and create a container where our compiled code can live in the form of a master copy. Next, we build our console application and from the Visual Studio project ‘bin’ folder we copy the .exe file and any NuGet/references .dll files into our Azure Blob Storage container. I recommend creating some PowerShell to handle this deployment from Visual Studio. Deploy an Azure Batch Service. As Azure Data Factory can’t execute the custom code directly with its own Integration Runtime we need something else to do it. Within the Azure Batch Service create a Compute Pool. This gives you a pool of virtual machines that can be used in parallel to run our custom code. The pool can have one node or many. Windows or Linux. It can even be given a formula to auto scale out as requests for more tasks are made against the batch service. For this walk through let’s assume we have Azure Data Lake Storage already deployed with some raw poorly structured data in a CSV file. Deploy an Azure Data Factory if you haven’t already. Within your data factory you’ll need linked services to the blob storage, data lake storage, key vault and the batch service as a minimum. For this example. Create an ADF pipeline and with a vanilla Custom Activity. In the Custom Activity add the batch linked service. Then in settings add the name of your exe file and the resource linked service, which is your Azure Blob Storage. AKA the master copy of the exe. Next, add Reference Objects from data factory that can be used at runtime by the Custom Activity console app. We now have everything we need in place for the Custom Activity to function. Let’s trigger the pipeline and think about the engineering that happens. At runtime, Data Factory logs a task request with our Azure Batch Service onto its own internal queue. The batch service copies the master version exe file from blob storage and setups up the task in a special working directory on an available compute node within the pool. In addition to the exe file three JSON files are created and copied into the same working directory. These contain information about for reference objects set in the data factory Custom Activity. The batch service triggers the console app to run, which executes on compute node virtual machine. If Windows, this can be seen in Task Manager. As the code is running independently on the batch compute node VM it needs to handle its own authentication to other Azure services, in just the same way if the code was running locally on your desktop. This is where we need Azure Key Vault. Service principal credentials in the ADF reference objects are no longer shared with the batch service in pain text at runtime. As of September 2018 data factory won’t do this. The exe calls and authenticates against Azure Key Vault using its own Azure Active Directory service principal and requests a key to authenticate against the Azure Data Lake Store account, in this example. The Raw data is downloaded to the batch compute node. A temporary directory will need to be defined in the application where the file can be safely downloaded to. Cleaning processes are performed on the compute node using the local disk, RAM and CPU. The cleaned data is uploaded back to Azure Data Lake Storage. Depending on the size of the file this may need to be done in chucks and concatenated at the target. Once complete the batch node working directory is cleaned up. The exe and JSON reference object files get deleted. Your downloaded data won’t be automatically deleted. You’ll need to code that into your application. Standard out and standard error log files are copied to the same blob storage account as the master exe but under a separate container called ‘adfjobs’ with subfolders for the Custom Activity run ID from ADF. Data factory reports the state of the activity as successful. We hope. With an understanding of the above let’s now going even deeper into some of these steps, especially where things differ between ADFv1 and ADFv2. As mentioned above we can use C# or whatever to create our console application. The other consideration here is if you want to use Windows machines or Linux machines for the Batch Service compute pool. If Linux, then you’ll need to develop your application using .Net Core rather than the full framework. Yes, the Linux VM’s will be cheaper than Windows, but .Net Core has a limited set of libraries compared to the full fat version. It’s a trade off you’ll need to consider. For the rest of this post I’ll be referring to things in the Batch Service assuming we used Windows compute nodes. In point 4 above, a little bit of PowerShell can be helpful to get your compiled application up into Azure Blob Storage. At least in your development environment, maybe not for production. This isn’t anything complex, just a copy of everything from your Visual Studio bin folder to a blobs store container. I’ve but an example PowerShell script in the below GitHub repository. Please feel free to copy it. I’d normally have a PowerShell helper project in my Visual Studio solution, or just add it directly to the console application project. In both cases the PowerShell extension will be needed to execute the script. Code in Blog Support GitHub repository. To apply the formula simply go to your Azure Batch Service > Pools >select the pool > Scale > Auto Scale > add your formula > Save. The only down side to this option is you can only get the formula to evaluate on a minimum frequency of 5 minutes. This means tasks won’t execute as fast compared to a fixed pool size that is always available. This is of course a common pattern with any Azure using a cluster of compute… If you want instant processing, pay for it to be on all the time. Bear in mind that the C drive is not where the operating system lives. These nodes have a none standard Windows image and special environment variables listed here. That said, custom images can be used if you want to have software preloaded onto a compute node. For example if you data cleaning custom application is really large or has multiple versions it could be loaded into a VM image used when the compute pool is created. Maybe a topic for another post. Lastly, consider my comment in point 20 about the data. This is downloaded onto the batch service compute nodes for processing and as mentioned we can RDP to them. By default this will be done using a dynamic public IP addresses. I therefore recommend adding the compute pool to an Azure Virtual Network (VNet) meaning access can only be gained via a private network and local address. In version 1 we needed to reference a namespace, class and method to call at runtime. Now in ADF version 2 we can pass a command to the VM compute node, settings screen shot for the ADF developer portal below. This command can be any Windows command. We can change directory and do something else on the VM or whatever, especially if using a custom image for the VM’s. Very handy and much more flexible than version 1. There will only ever be three of these JSON files regardless of how many reference objects are added in the data factory settings. To further clarify; if we reference 4 linked services, they will be added to the single JSON reference objects file in an array. 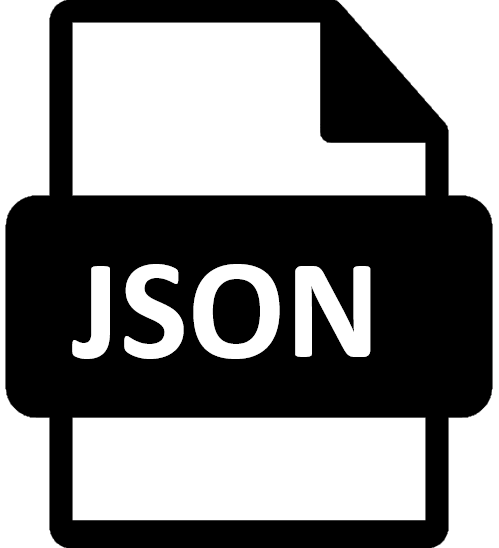 The array will have a copy of the JSON used by Data Factory when it calls the linked service in a pipeline. To access the reference objects we need to code this into our console app, parse the JSON and figure out which key value pairs we want to use. This can get very messy and my C# skills mean I don’t yet have a clean way of doing this. Here’s an example of how we might find details of our Data Lake Storage account from the linked service reference objects file. I’d be more than happy to accept some C# help on coming up with a better way to traverse these ‘Reference Object’ files. With Azure Key Vault if you haven’t used it already there is plenty of documentation and examples on working with the SDK, link below. Security is important so Microsoft give us lots of help here. This extra layer of keys being passed around does initially seem a little overkill, but when keys get recycled having a central location is the best thing ever. Do also make the effort to create a comprehensive key vault utilities class that works for you within the console app. To implement this in an Azure Data Factory Custom activity you’ll need to have Key Vault added as its own linked service. Then add the linked service as one of the Reference Objects. When parsed in your app this will give you the URL to reach the Key Vault API. Or, feel free to hard code in the application config, it depends if you plan to change Key Vaults. With the Key Vault URL and the console apps own service principal you’ll be able to hit the API and request your Data Lake Store secret, for example. If you have 30+ compute nodes in your Batch Service pool creating an RDP connection to each node doesn’t really work when trying to check log files. Therefore, as mentioned in point 24 above your console application standard error and standard out log files get copied into Azure Blob Storage. The container created for you called ‘adfjobs’ will have a sub per data factory activity execution and named with the GUID from the activity run ID. 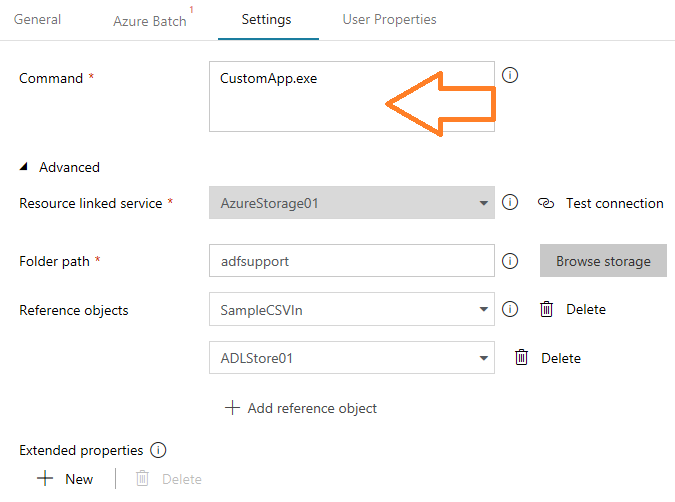 Simply grab the GUID from your Data Factory monitoring and use something like Azure Storage Explorer to search the adjob container. I think that’s everything you need! I hope with the above knowledge and links your able to easily understand and create a complete Azure Data Factory v2 Custom Activity. We have an ADF pipeline that runs 3 other pipelines which run the same executable using the same Azure Batch pool. Most of the time the executable runs successfully. However, there are instances where the pipeline hangs before it starts running the executable. Note that all 3 pipelines are using the same Azure Batch pool. – Could you let us know what the cause of this hang may be? – Is there an issue with the pipelines using the same Azure Batch pool? Should they be using different pools? – The executable does not have any parallelism, so does the number of nodes make a difference?